Students at UMass work on the vineyard. The program is largely student-run. The campus vineyard, just shy of an acre, is part of the Stockbridge School of Agriculture. Student Rachel Lawlor has been helping to plant vines at UMass, learning organic growing and pest management techniques. "Not only are we learning about the care of the vine and planting and pruning, but it's getting us to work independently as professionals in horticulture and viticulture as we go on," Lawlor said. The vineyard's faculty caretaker, Dr. Elsa Petit, is teaching students about "terroir," a blend of art and soil science. "It represents the soil, as well as the type of grapes, as well as the tradition," Petit said. Petit designed the vineyard to face west, giving it full exposure to UMass sunsets. She's also been sourcing local species of rot-resistant wood to build trellises. Petit said the chemicals used in the growing process are organic, and she's pursuing organic certification. Skyler Hall was a part of the class that created the vineyard. He said it gives the students key decision-making abilities. "It was the students that did it," Hall said. "It was the students who put in the work. We were the ones who were maintaining the grapes and everything. So it's very student-oriented, which is very different than most places." Many of the students will graduate before they see the fruits of their labor. 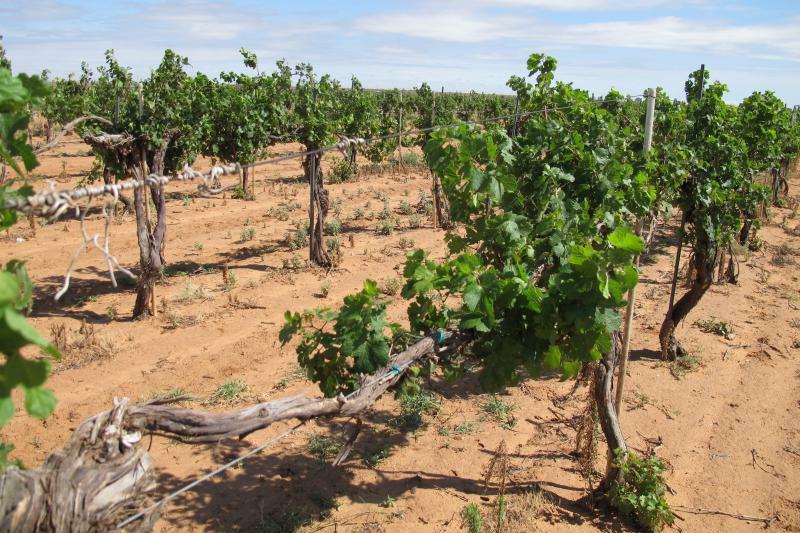 It could be up to three years before the crops can produce wine-quality grapes. Town officials in Deerfield, Massachusetts, are reaching out to UMass Amherst after residents complained about spraying at a grass research farm owned by the university.